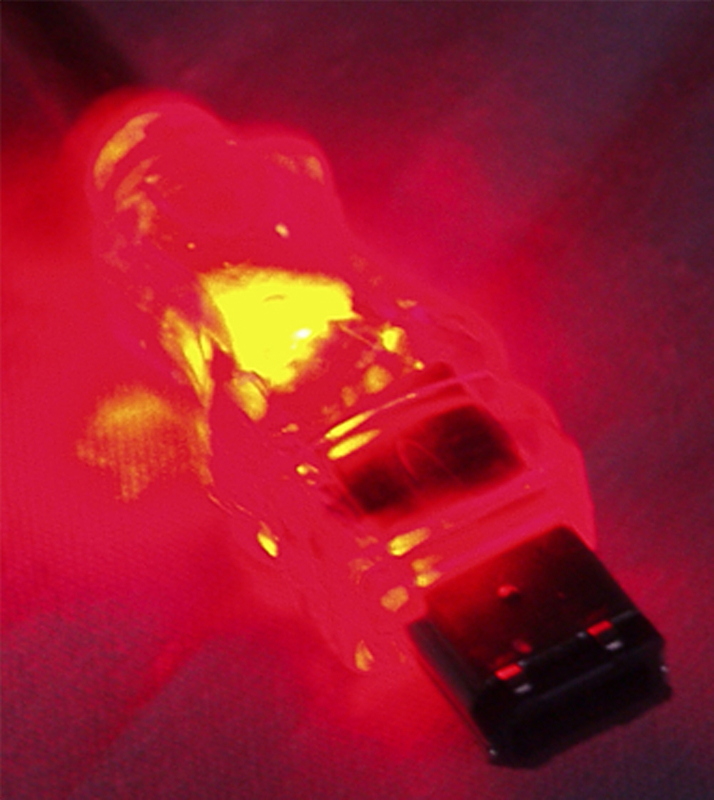 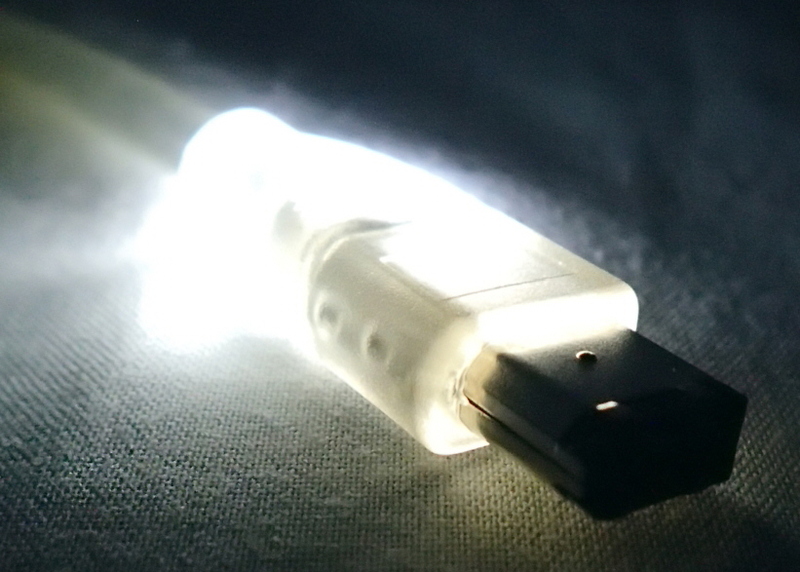 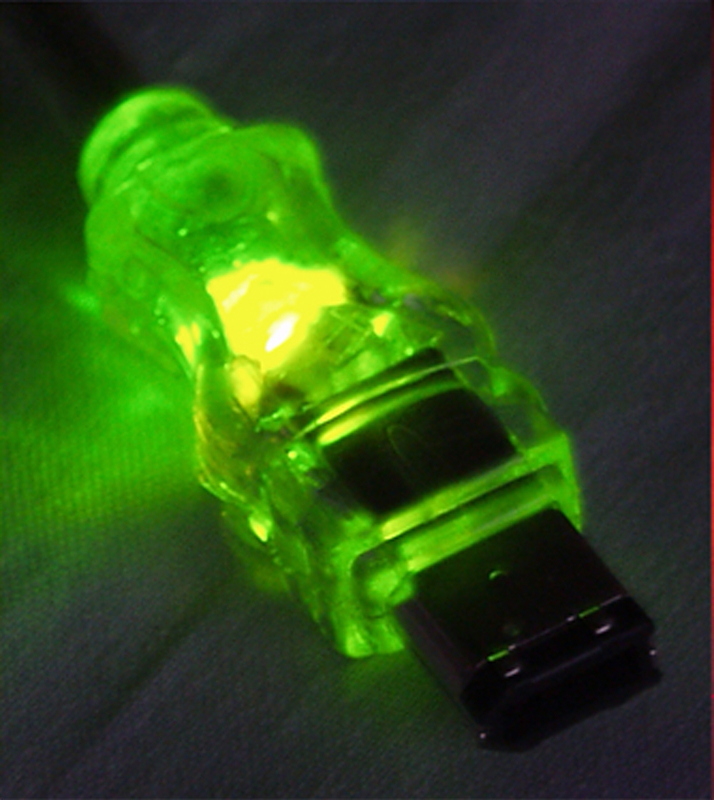 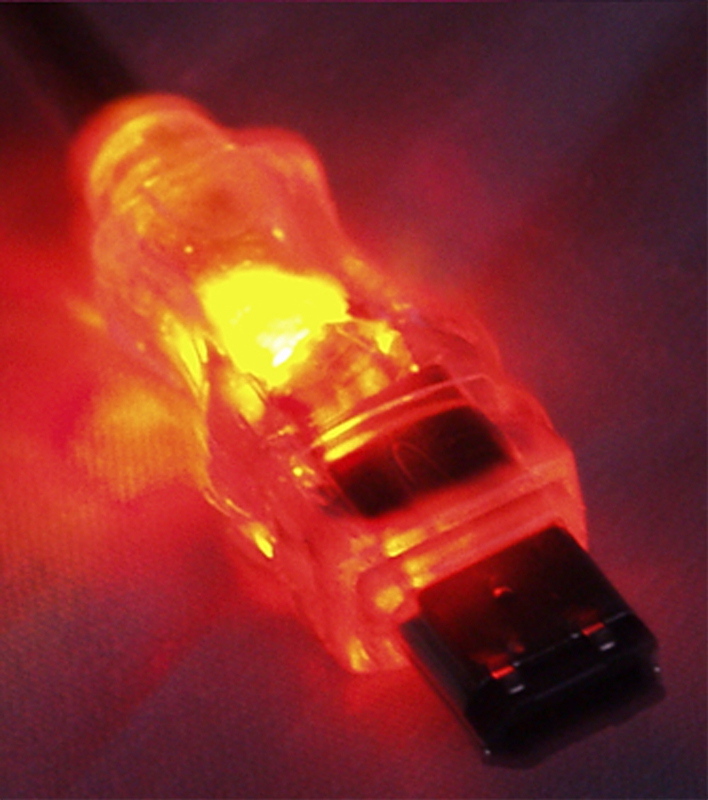 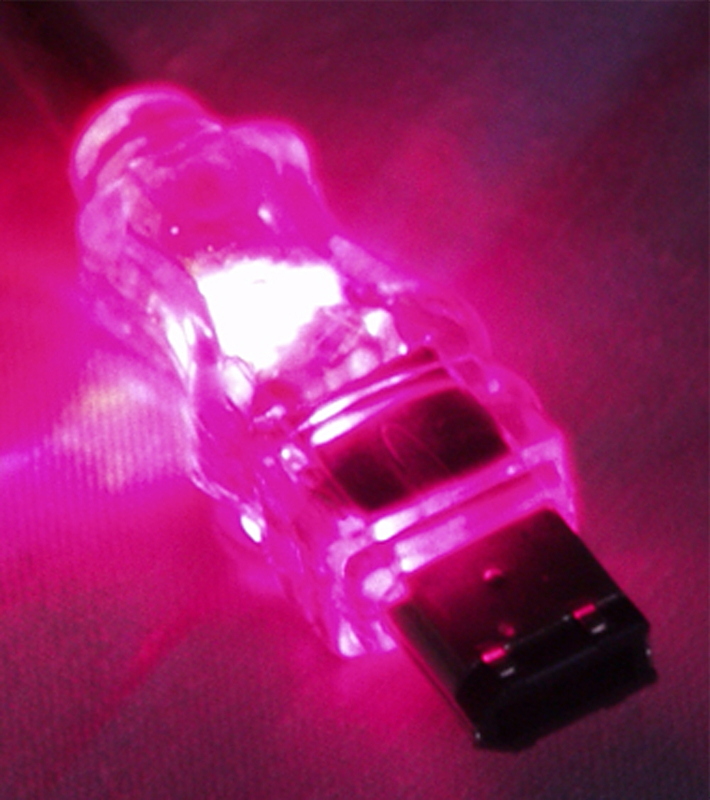 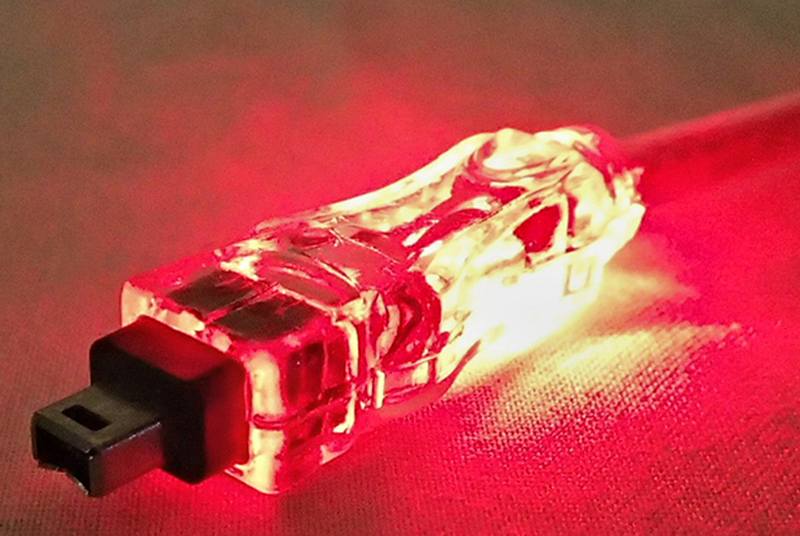 FireWire gets the Light treatment with QVS®s FireWire Translucent cables with LEDs! 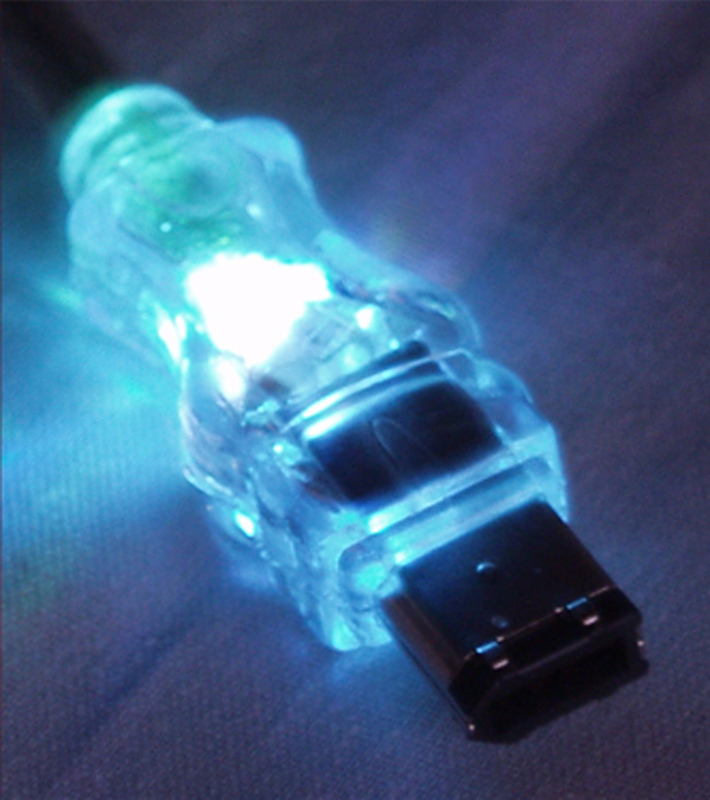 These cables are like their USB with LEDs counterpart - definitely a colorful way to know if your connection is right on track. 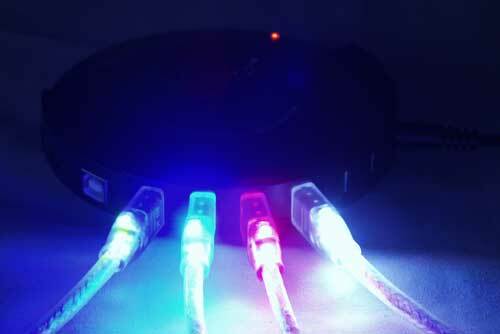 Built-in LEDs in both ends of the cable light up to indicate that devices are properly linked and working. 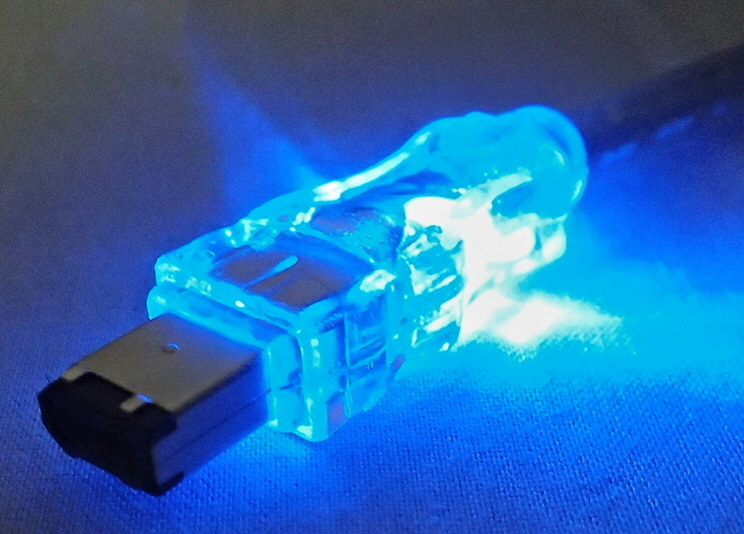 Again, convenient to use with PC-to-hub connections and the different colors allow for color-coding various devices. 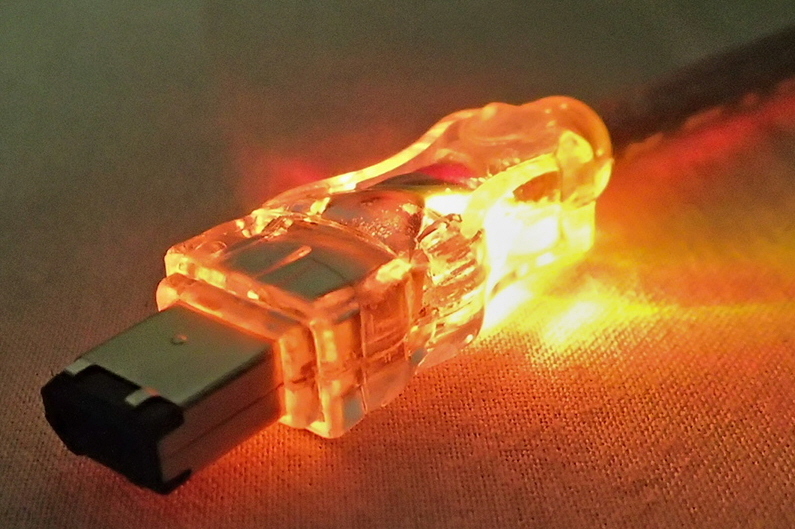 Hook up FireWire peripherals like hubs, digital cameras, storage devices and the cable ends will light up when a functioning device is connected to the PC or FireWire hub. 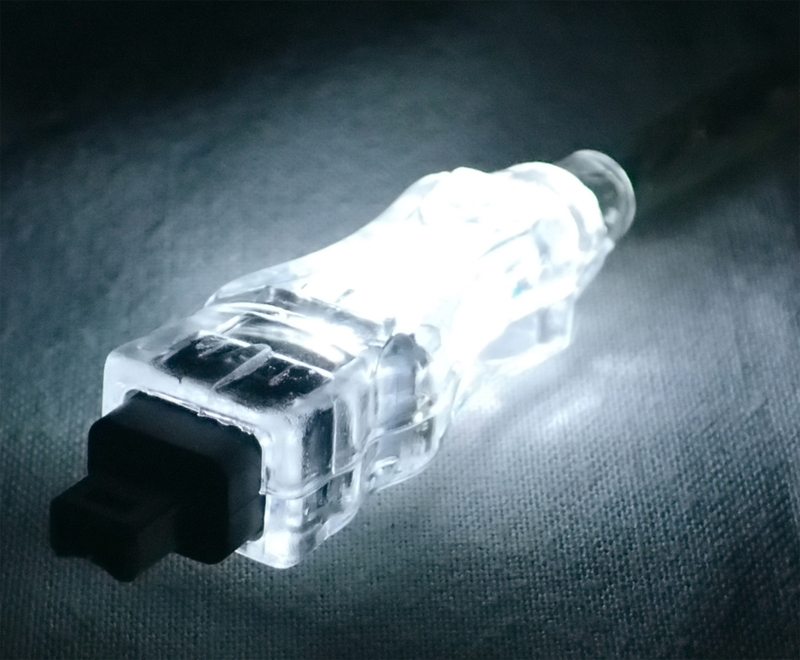 All QVS® FireWire with LED cables are IEEE1394 compliant, have silver braid shielding with a translucent jacket. 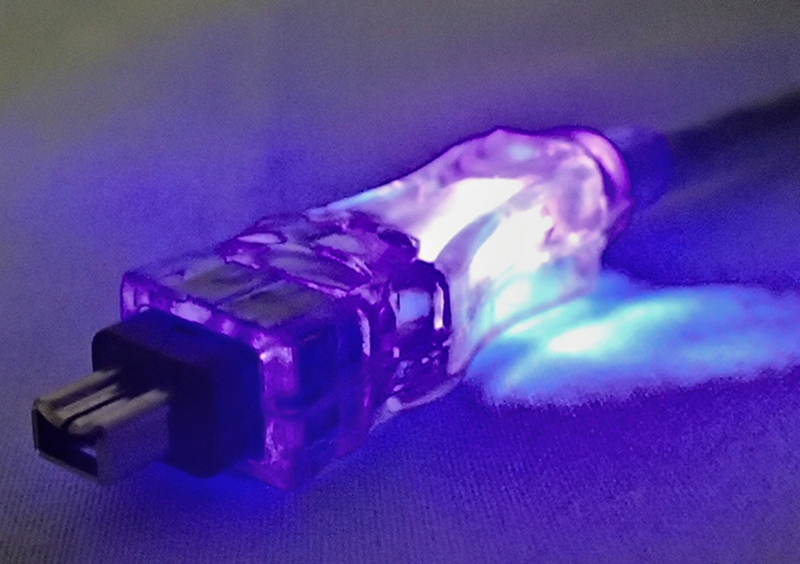 These are 6Pin (male) to 6Pin (male) cables and supports 400Mbs speed. 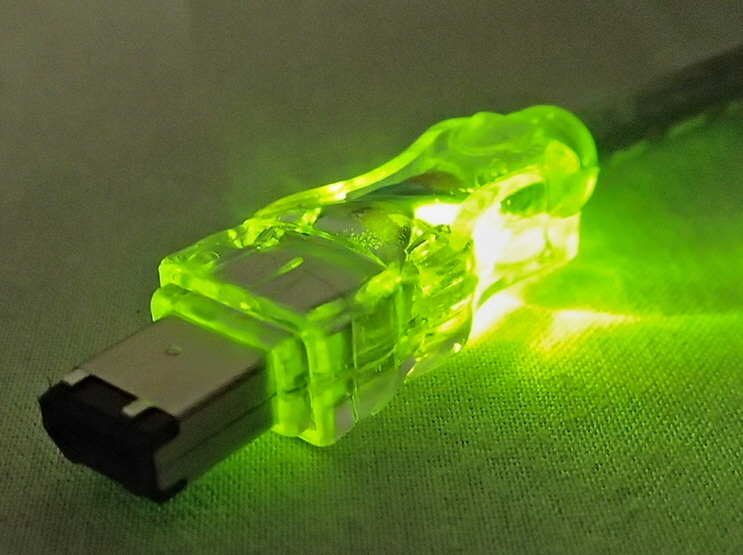 Available with green, blue, red, or white LED lights.